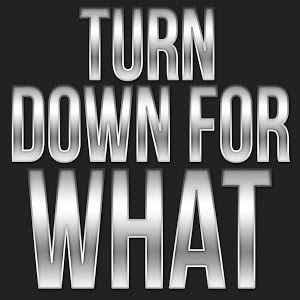 Home » Commentary » Turn Down For What? I Ain’t No Punk! Turn Down For What? I Ain’t No Punk! As a film critic, I frequently talk about the images of Blacks in the media (TV, Movies, Internet, Newspapers, Magazines, etc). My bias is that these images are overwhelmingly negative. Apparently, many people feel the same way. Take the #iftheygunnedmedown campaign which represents the belief that the media choses images which sells the narrative that Black Boys like Trayvon Martin and Michael Brown were problems versus victims. Let’s say, I don’t know all the facts and that these boys in some way contributed to their fate. Then the question remains what should they do to preserve their own lives. Should they consider every adult a legitimate authority figure and abide by their instructions without hesitation? Should they allow themselves to be bullied and coerced into confessions like in the torture case involving Chicago Police Commandeer Jon Burge? Should they surrender to the fact that they are powerless in our society? Well, when I asked my young next door neighbor this question he replies “Hell No! I won’t turn down when I have done nothing wrong.” He says he’s outraged when people accuse him of something he hasn’t done. It’s important for him to let people know that he will not be stepped upon and treated like a second class citizen. Is Turning down, selling out? Does it signal that we are less of a man and will accept anything? Does turning down make it easier for others to “punk” us and trample over our rights? Does turning down do a disservice to our community because we will never Turn up/stand up for anything? I believe there is a time for everything. I think my young neighbor has it wrong. You don’t “turn up” with anyone when it might cost you your life (I make exception for defending oneself and others). You always have a choice and understanding how to exercise that choice can be a matter of life and death. I explained to this young neighbor that I too thought that turning down was being weak but when James Brown said “you got to get down to get on up”, he was right. I can’t get up if I’m dead and turning up because a policeman stopped me for questioning for no apparent reason is just not the right time or place. Turn down. Yes, turn down! Turn down my volume, my attitude, my anger and my indignation. I use to tell the police, I have two lawyers in my family, I know my rights, and that they couldn’t treat me a certain way or do something which violated my rights. And do you know where it got me? It got me issued a ticket or a car search if it was a traffic stop and once it got me a handcuffed trip to the back of a police car. It wasn’t right, fair or just. Turn Down For What? Turn Down For This! This situation right here. The fact is, I have to turn down if I want to turn up. I have to recognize that the police or an authority figure has the upper hand in this situation and turning down means I live to fight another day and in another way. I’m not saying we don’t have rights but there IS a time to turn down. I’m not saying Travon Martin or Michael Brown caused their deaths. I’m not even suggesting it. I’m responding to the tweets and Facebook posts, saying I won’t turn down. It sounds good but it lacks context. “I won’t turn down” is a dangerous message to send to our Black boys because the statement is an absolute not situational. I really wish a few of my friends would have “turnt down” and maybe they would be alive today for me to enjoy their company. Turning down is not giving up, Turning down is not weak, turning down is a tactic that should be in all our tool bags. I play a lot of basketball and even I know that if my team is winning by one point with 10 seconds left, there is no reason to shoot the ball(turn up). I’m trying to win so I hold the ball until the clock run down (turn down). Sometimes you turn down to turn up – Just something to Ponder. By reggieponder in Commentary, News on August 15, 2014 .